As Jesus is probably the most significant figure in the history of Western civilization, whether you believe he was real or not, whether you believe he was the son of God or not, it’s no surprise that we can’t stop ourselves from becoming fascinated with his life, not only that which was written about in the Bible, but also all we can imagine to fill in the gaps between. Last Days in the Desert is fiction focused on what some believe to be fiction itself, while others believe it to be true, making the story that much more complicated & interesting. It’s great movie fodder, is what it is, regardless of religious context, and aids in allowing audiences to fall right into this film no matter their background. After his baptism by John, Jesus went into the desert of Judea to cleanse his mind and to test his spirit. Forty days & forty nights Jesus spent wandering the desert, fasting and praying, speaking to God his father concerning the ultimate design of his plan, of what was in store for man and for man’s savior. During this time, Satan himself visited Jesus to tempt him away from the chosen path, to keep him from fulfilling his destiny. Sowing seeds of doubt, Satan attempted to force Jesus to question his father, to push the limits of his faith, and ultimately to win the battle between good & evil in the desert where no one could help. 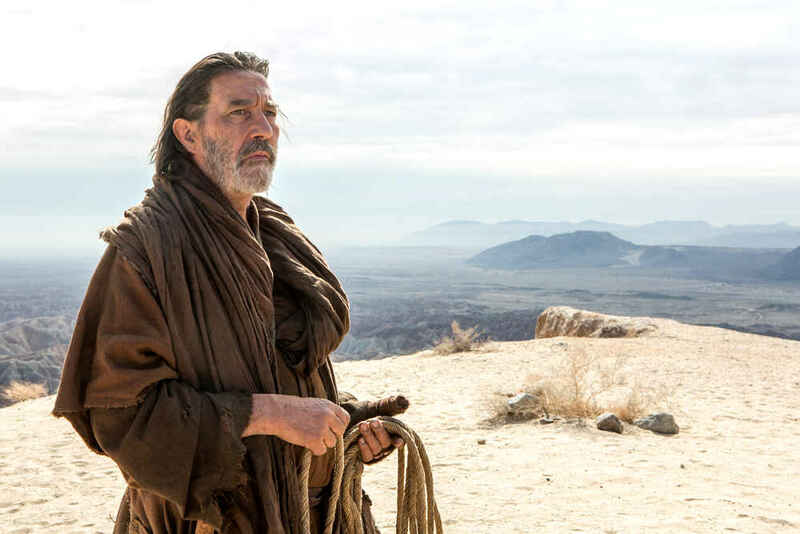 As the film begins, we meet Jesus at the end of his journey, on the way to Jerusalem, where he knows the horrible death that awaits him. Satan follows by his side, in the form of Jesus himself, mirroring his every decision but always testing the young carpenter in hopes he will succumb. 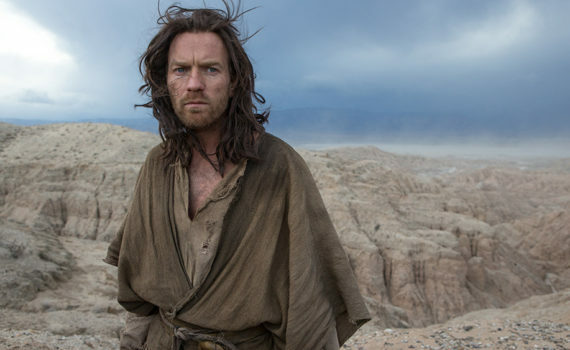 Nearly free, Jesus meets a small family living on the fringes of the desert, scraping a living in whatever way they can. He & Satan make a wager; if Jesus can help this poor family from the metaphorical precipice that they now find themselves, then Satan will leave him alone for the remainder of his trek. If not, well, the failure to save the family will be its own punishment. A stubborn father, an ill mother, a lonely son; Jesus will step into their lives and lend what aid he can, but will it be enough, and will he learn about his own lot in life while there? You don’t have to be religious to appreciate this film, but understanding the backstory, to put it in movie terms and at the very least, does help. I grew up in the church, Christian non-denominational actually, and so the parables, the morals, the characters, and what we were supposed to believe as true were recited to me quite often. And now, though I’m no longer religious, I remember and can appreciate these stories for what they were. 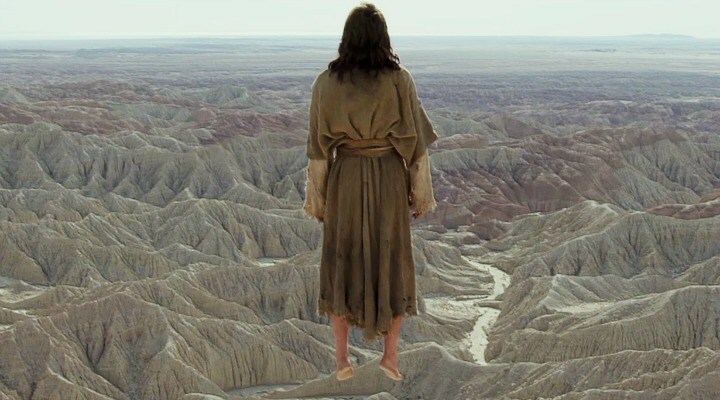 I’m not here to argue whether these are real events, metaphors, or complete fiction, but the Bible exists, a large amount of our world believes in it, and, whether or not it’s true, it makes for great film. Last Days in the Desert is a great example of a smart marriage; classic tale, re-imagined content, excellent acting, standard guidelines, and a breath of fresh air. The result is a film that’s both surface watchable and undercurrent intriguing, something I didn’t see coming when I sat down to watch. I assumed the plot would be nonexistent, that the movie would rely heavily on the mystic, keeping its feet a mile off the ground. But I was pleasantly surprised by the combination of artistic question-posing and typical plot elements, making the film both fascinating & entertaining. Now, I can’t say it’s a fun flick for the family, nor would any audience member looking for pure enjoyment thank me for recommending this to them. There is difficult depth here, there is slow pace, there exists a challenge from the director to the audience, a test, if you will, of your will, if you will. But there’s more as well; great acting from McGregor, Sheridan, & Hinds, a father/son element that never gets old, an underlying sense of dread throughout, and a well-crafted imagining of a book come to life for those of us who know the story by heart. Last Days in the Desert is not an easy watch by any means, but it is a rewarding one. Video – With an aspect ratio of 2.40:1 Widescreen and shot using an Arri Alexa camera with Leica Summilux-C lenses, the video quality if this film was beautifully done, with a high clarity and an eye for landscape that should please any audience member looking for fine-tuned visuals. The color palette was quite muted, understandably, but what was done with the countryside and with the colors available was fairly impressive. Audio – The disc was done in English Dolby Digital 5.1, with an option of switching to Español Dolby Digital 5.1. Also, subtitles are available in English SDH and Español. The audio quality was nice as well, with a good balance between dialogue, music, and background sound. The soundtrack was mood based and subtle, but enjoyable as a way to set the story. Highly Recommended. 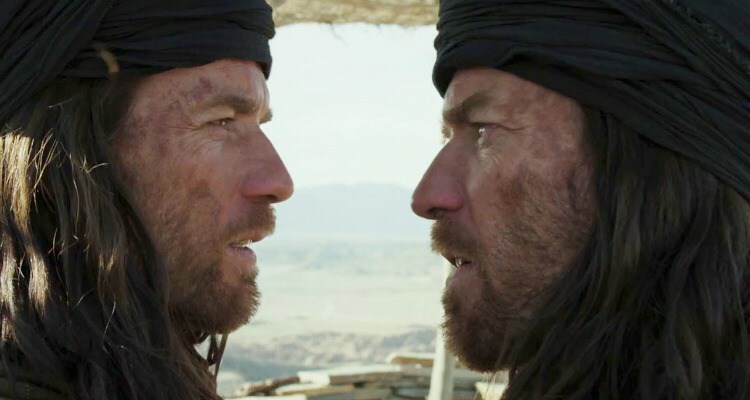 Last Days in the Desert might not be a film with a wide appeal, but with very specific aim it can be an impressive project to those prepped to accept it. A religious background can’t hurt, as you’ll be somewhat knowledgeable about the content and curious to see more, but the devoted might find fault with how their Christ & his history are portrayed. Audience members will find enough story line to follow along with, but might become bored by the more slow or bizarre aspects of the film. So, while I appreciated this movie in many ways, my recommendation of it must, by necessity, come with many warning labels. The video was very crisp, the audio solid as well, although the disc offers no extras. Not for the majority perhaps, but a film with both a powerful message and great cinematic elements for those few who have been groomed to hear & appreciate them.